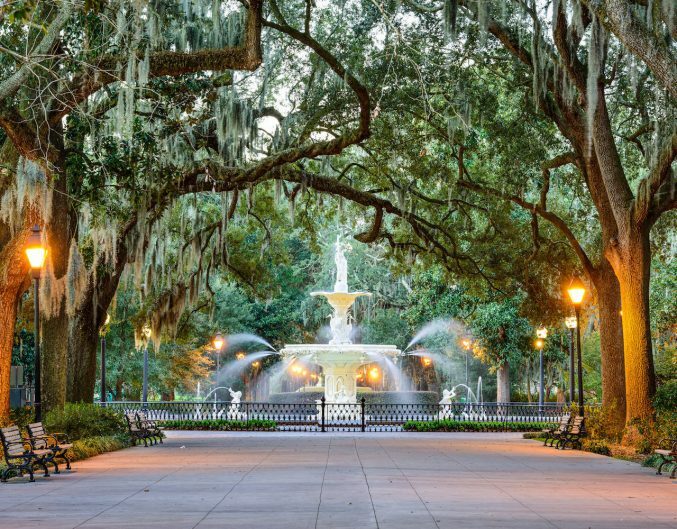 Are you planning to visit one of the South’s most historic cities? 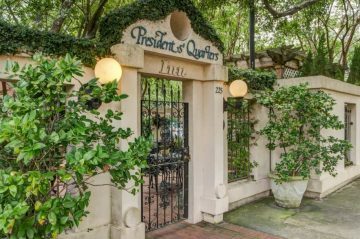 When it comes to the best bed and breakfast in Savannah, GA, no place compares to Presidents’ Quarters Inn. 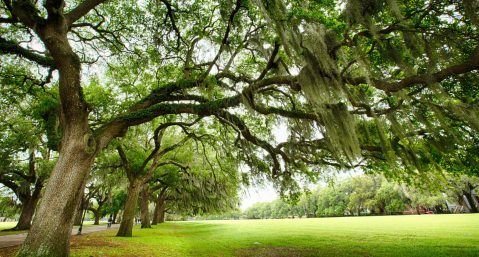 Our Savannah B&B is nestled in the heart of historic Savannah among countless activities, restaurants, and famous sites. 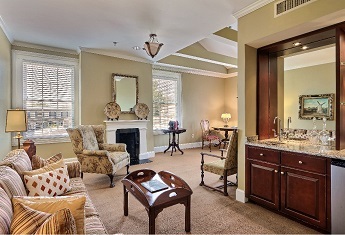 Our spacious, luxurious guest rooms are the perfect home base for your explorations; you can expect outstanding amenities and gracious Southern hospitality during every moment of your stay. 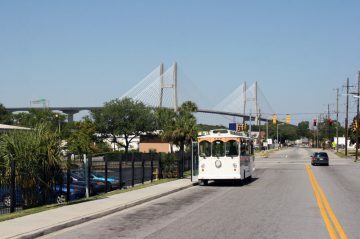 We can’t wait to help you plan your stay at our bed and breakfast in Downtown Savannah, GA! 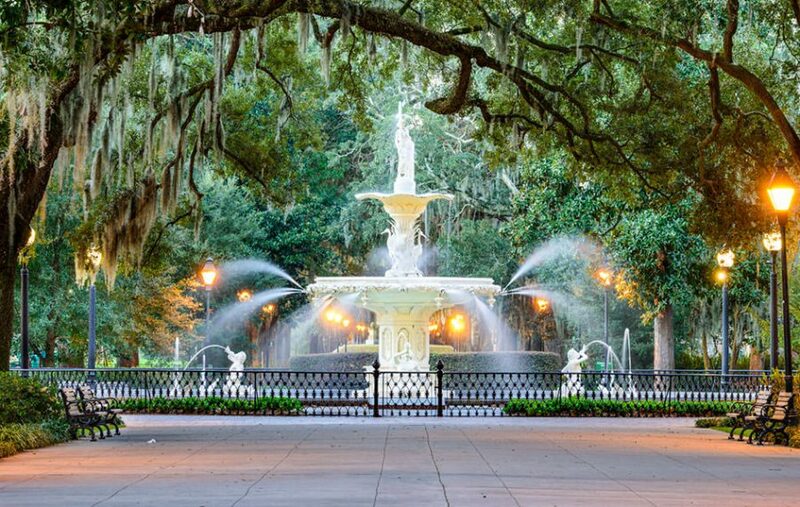 Our bed and breakfast in historic Savannah, GA, is surrounded by the best sights, activities, and attractions in the city. 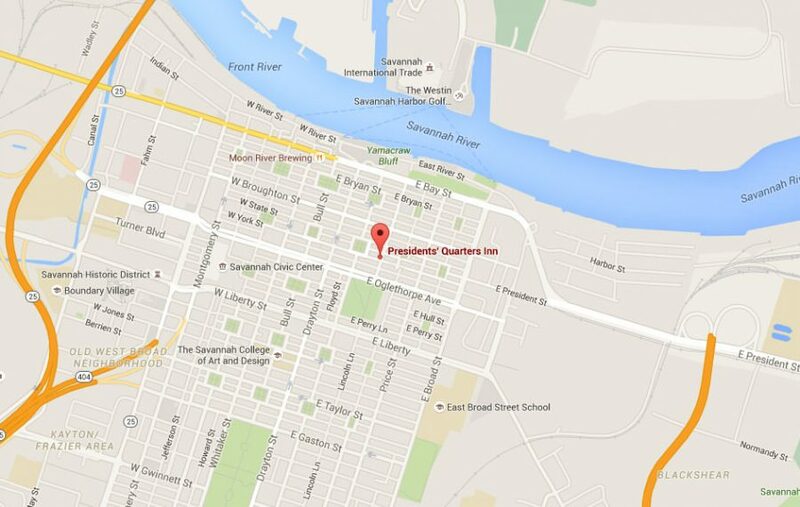 Our exclusive location on Oglethorpe Square is steps away from the best of Savannah. 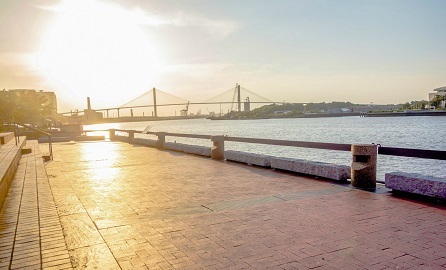 You can easily walk to countless destinations. Imagine having all of the amazing things to do right at your fingertips. If you need to drive somewhere, don’t worry— your car is easily accessible from our complimentary on-site parking. Presidents’ Quarters Inn has a unique history that dates back centuries. 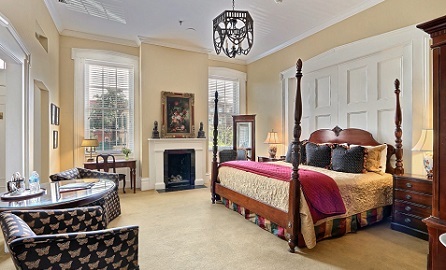 We have worked hard to keep this extraordinary bed and breakfast in Savannah, GA, special by creating the perfect balance of historic charm and modern amenities. Each of our luxurious rooms features decorative fireplaces, and many have private balconies overlooking the gorgeous courtyard garden. Our accommodations feature king and queen beds, and you will find both antique and period reproduction furnishings throughout. 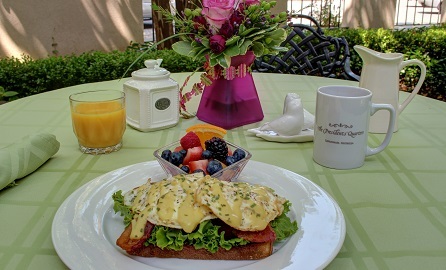 Every morning, guests are treated to a signature gourmet breakfast prepared to order. 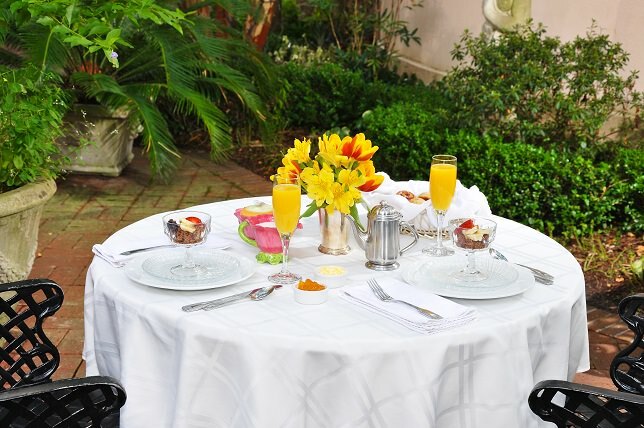 Afternoon hors-d’oeuvres & wine, evening cordials, and a nightly turndown service are a few of the exceptional amenities that make our Savannah bed and breakfast in the Historic District an exclusive lodging experience. 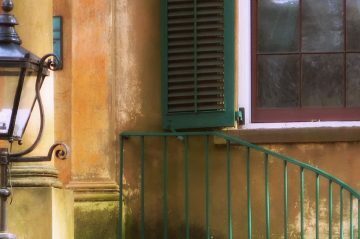 Our romantic Savannah bed and breakfast is the perfect place to get away from it all, and our specials and packages can take your stay to the next level. 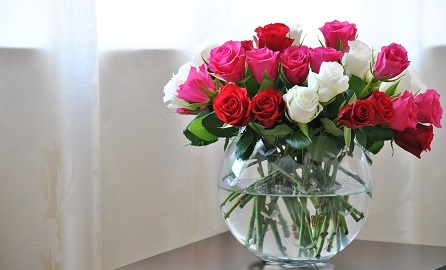 Whether you are here with your sweetheart or just want to add a little extra something to your getaway, our specials are designed to help you get the most out of your vacation. We know planning a trip can be challenging, so we created our complimentary Vacation Guide to save you from hours of research! We carefully curated a list of local recommendations so you can have everything you need to know about our area at your fingertips. 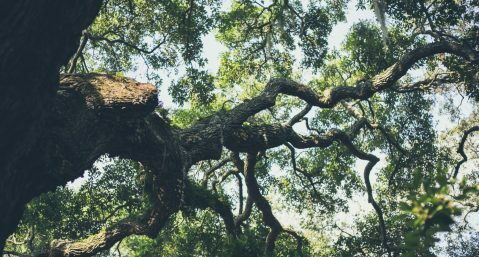 Whether you’re looking for the famous parks and squares around our bed and breakfast in historic Savannah, GA, places to eat, or unique activities, you will find them in this handy guide. Don’t worry about finding a spot on the street! 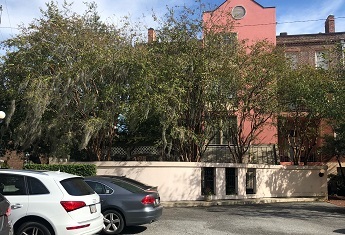 Our bed and breakfast in Savannah, GA, near River Street has complimentary, first-come, first-served parking for our guests. Our spacious guest rooms feature high ceilings, gracious sitting areas, and are filled from top to bottom with the finest furnishings. 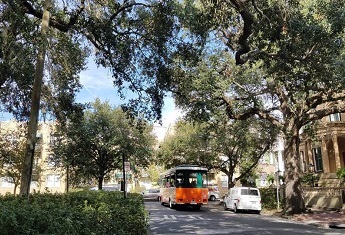 As the best Savannah bed and breakfast in the Historic District, our location in the heart of the city puts you steps away from the best things to do and see. 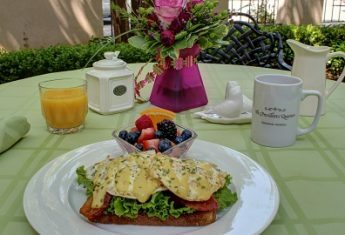 Guests are treated to a gourmet breakfast and daily wine & appetizers at our bed and breakfast in Downtown Savannah, GA.
One of the best suites for special occasions, this quiet room is bold in size and comfortably elegant. A favorite of women traveling together on holiday, and comfortable enough for company. 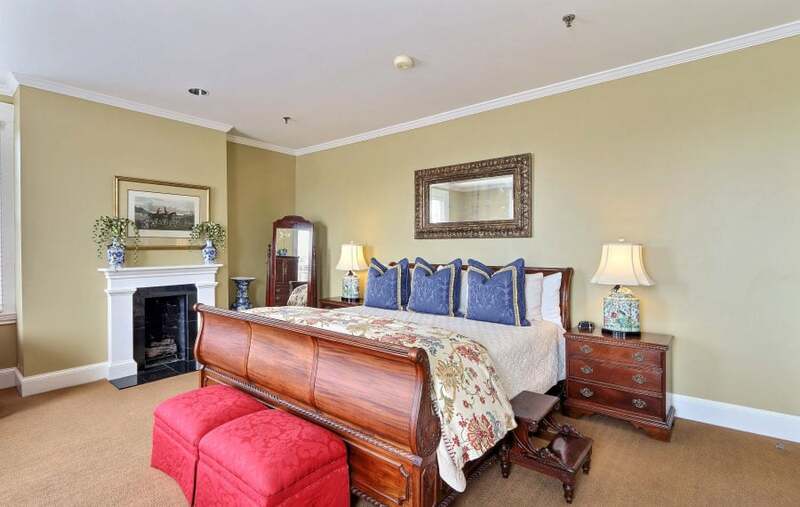 The Wilson room features two full-size beds, colonial style wood trim, and renovated bath.